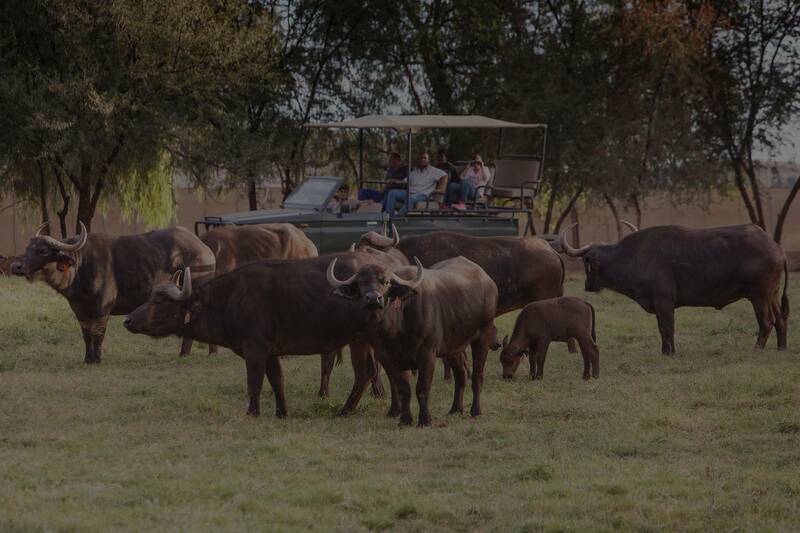 Chandelier offers guests the ideal opportunity to learn more about the once endangered Cape Buffalo. With our Buffalo experience, go home with the most amazing close-up photos as well as knowledge of one of South Africa’s “Big Five” members. It is a short drive or easy walk to the Buffalo Breeding Herd. Either capture the moment accompanied by the game viewers or from behind a secure electric fence. The Chandelier Buffalo Breeding Herd is hand-picked and superior genetics were gathered from various Provinces of South Africa to form this wonderful herd. Calves are born throughout the year, therefore, you will be fortunate enough to spot the young babies, close to their majestic parents.